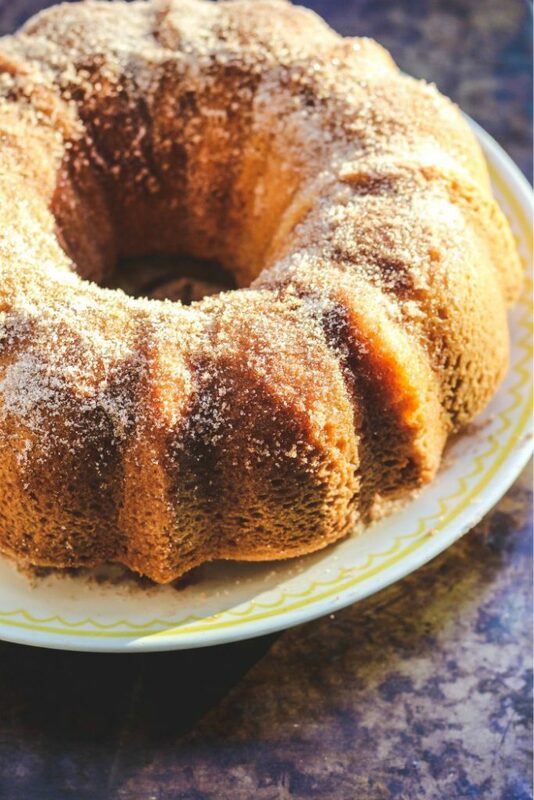 The perfect combination of cake and donut in this delicious Old-Fashioned Donut Bundt Cake! Perfect for breakfast or enjoy a slice for an afternoon coffee break! You may wonder where I find the inspiration of what to bake and share here with all of you. Sometimes it could be as simple as seeing a recipe on a show or in a book. 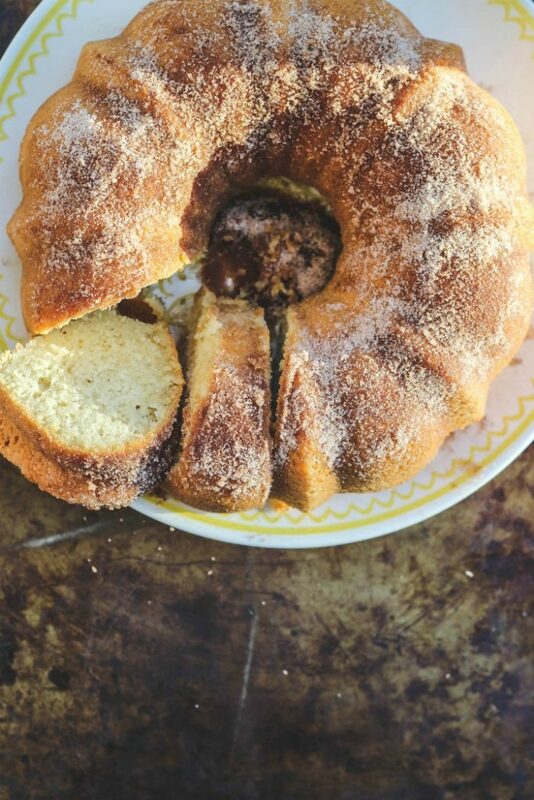 It also could be something I come across on Facebook, like this fantastic Old-Fashioned Donut Bundt Cake. It all started on the Epiphany and my friend Michael G. posted a photo of this cake. It looked like this photo below. It was just the Bundt right out of the oven in the Bundt pan and he said he made the New York Times Old-Fashioned Bundt Cake for the Epiphany. I hearted the post and so did so many other of Michael’s friends and someone asked for the recipe. He included a link and that same afternoon I was baking this fabulous Bundt cake. It was just something spontaneous and since it’s smothered in a cinnamon sugar coating, I knew my kids would love it! Michael doesn’t have a food blog (although he should)otherwise I would link to him. Thank you, Michael, for inspiring me to baking another Bundt cake!! I used to be quite the Bundt baking fanatic. I even started a monthly Bundt baking group called BundtaMonth with my talented baking friend An. Every month we offered a Bundt baking theme and everyone around the world joined in with their delectable Bundts. 100’s of Bundts were made those years we were all baking together. I hope to continue on here my own personal #BundtaMonth project and each month share here a different Bundt. This is my January addition and I hope you love it as much as we did!! In large bowl, whisk together the flour, cinnamon, nutmeg, baking powder, baking soda soda, and salt. Set aside. 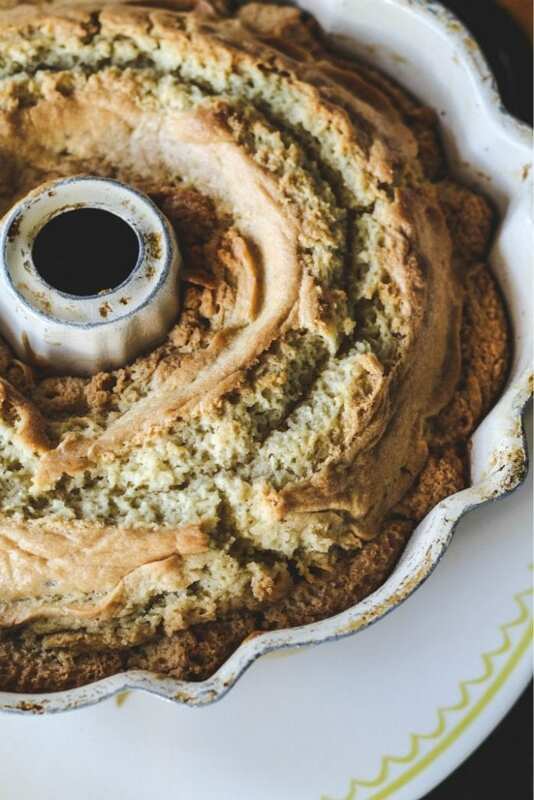 Spoon the cake batter into the Bundt pan; spread evenly with a spatula. Tap the pan heavily on the counter a few times to help even out the batter and remove air pockets. Bake for 45-50 minutes, or until a toothpick inserted into the center of the cake comes out clean and the top springs back when lightly pressed. In a small bowl, mix the remaining 2/3 cup with the cinnamon to combine. Brush the warm cake all over with melted butter, then spoon cinnamon sugar over the cake. 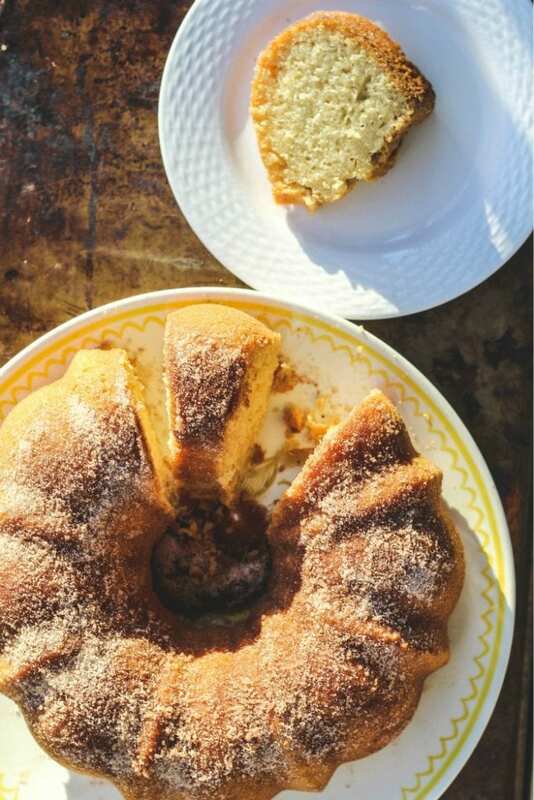 Brush any bare areas with the melted butter and reuse any cinnamon sugar that falls onto the baking sheet below the rack, using your hands to gently press it into the surface of the cake to help it stick. Make sure to fully coat the Bundt with the cinnamon sugar coating. Cool cake completely before serving. 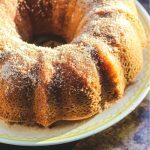 I’ve never made bundt cake before but this one looks really good! Does it get any better than a cake and donut combo?! So yummy! This is one good cake! I have to try it out asap!